The sixties are deep-rooted in our collective memory. A decade of seemingly infinite options and profound social change, highlighted by events such as the first moon landing, the Vietnam War, Woodstock, student movements, sexual self-determination or the uprising of a new youth culture. In 1964 Bob Dylan sings “The times they are a-changin’” thus becoming the voice of an entire generation. 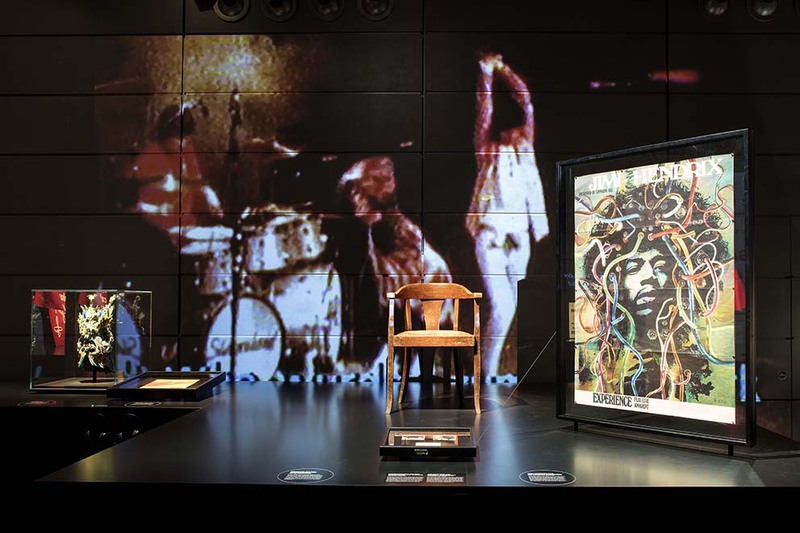 The special exhibit at the Haus der Geschichte Baden Württemberg “The times they are a-changin’ – the sixties in Baden-Württemberg” ties to that famous Dylan song and, via a media installation throughout the exhibition space, lets the visitor immerse into a decade of new beginnings. At the entrance of the exhibition, lyrics from sixties welcome the visitor. Lyrics from the Beatles, the Rolling Stones, Jimi Hendrix and Joy Fleming offer the possibility of personal associations and give a first impression of the ideas and thoughts of that time. The spatially open exhibition is divided into six areas, in which the sociocultural changes manifest themselves. Each area illustrates a different aspect of the sixties, such as music, fashion and politics. Exhibits from the all over the region show how the change in the sixties also shaped the German Southwest. They make global trends more accessible to the visitor. Additionally audio stations play live-features and interviews with contemporary witnesses. 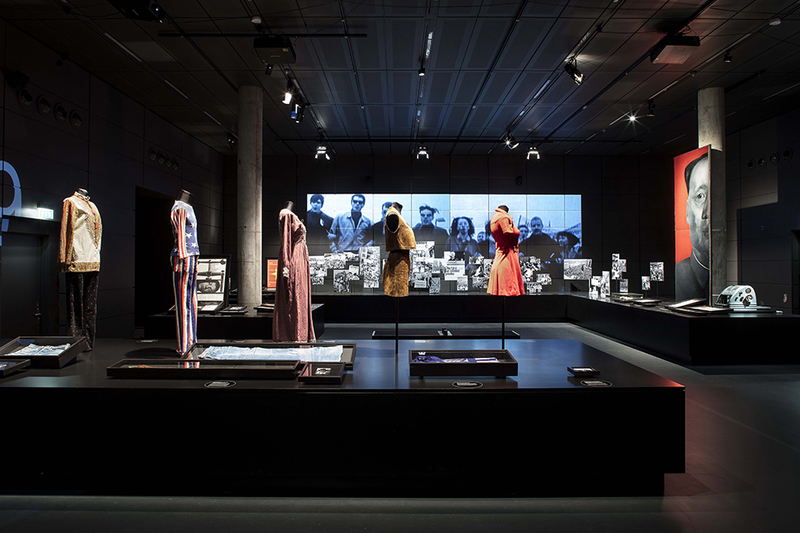 Each area of the exhibition has its own stage where contemporary exhibits assume the role of representatives, acting for the heroes of their time: Garments pose on the catwalk. Musical instruments have their big moment. Pictures and posters form a protest march. Huge-scale projections of film fragments extend the range of the various themes into a virtual dimension and embed the objects in their historical context. The chronology is staged audio-visually in the whole exhibition space. Synchronically, political and cultural milestones such as John F. Kennedy’s speech in Berlin, Martin Luther King’s vision “I have a dream”, the opening of the “Star Club” in Hamburg or the first moon landing come to life within the exhibition space, putting the local perspective in an international context. The subtle interaction of regional exhibits and international media in the exhibition space results in an immersive experience, which allows the visitor to put himself in the perspective of the people in Baden-Württemberg during the sixties and thus trace the extraordinary zeitgeist of this era.